One of the big changes we can expect in 2012 is the restructuring of the US Post Office. The post office is one of those things that you expect to always be there. You drop off a letter in the mail box and no matter where in the world it’s going, it somehow gets to its destination… no matter how far away that is. While most countries give their Post Office a monopoly over the mail, the US has been offering alternatives for a long time. UPS was one of the first alternatives, delivering packages since 1907. In the 20’s and 30’s the Post Office was America’s largest employer but FedEx, DHL and other overnight and express delivery firms have been slowly eroding their profitability. Of course, the rise of the Internet and the down economy have accelerated problems at the Post Office. Does the Post Office still matter to major corporations? If it does, what are the critical projects that your firm needs to initiate in 2012? Let’s take a look at these issues… and more! A century ago, a shining example of the synergy between the Post Office and business was the Sears Roebuck Company. Sears produced a mammoth catalog of household and farm products, including… pre-fabricated houses! Every home in small-town America had a Sears catalog, a “wish book”” as it was called, since everything you could wish for could be found in the Sears Catalog. Sears would manufacture or distribute whatever you wanted, and the post office would deliver it to your door! Not bad for the pre-internet world! Catalog companies continue to thrive, and this “junk mail” has kept the Post Office in business. But first-class mail has declined as more orders are via email or an internet site, and more books, magazines and printed materials are sent electronically. The massive infrastructure the Post Office built at the beginning of the last century, is still out there: 500 massive processing centers; 31,000 post offices; 200,000 vehicles, 600,000 workers… still America’s 2nd largest employer. The gap for the coming year will be $12 Billion, growing to $20 Billion in 2015. Radical changes are on the way! The current plan is to close up to half of the processing centers and 15% of the Post Offices by mid-2012. That only reduces expenses by $6 Billion, leaving another $14 Billion in as yet unannounced reductions. It seems likely that the shortfall will be even higher than the current $20 Billion estimate. Why? First, since the 60’s, the Post Office has consistently under-estimated shortfalls. Second, as the Post Office reduces its services, and mail takes longer to arrive, customers will increasingly seek alternatives and revenue will fall even faster. The changes that are being discussed today really are just the beginning. This is the first down payment on a much, much bigger plan. Mailing To Big Cities: Unless you are a direct-mail marketing firm, this shouldn’t create a major disruption. But if your firm produces a lot of mail, you probably use a service located by a major Post Office processing facility. As these change, the flow of mail in the US will change as well. Your current provider may be located in the wrong place. Do a little checking before processing centers begin to close in May of 2012. Mailing To Towns: Smaller municipalities will be hit the hardest by closing, possibly adding days to delivery. If you are a regulated firm, you may have requirements on how long it takes for physical mail to be delivered (receipts for stock purchases, insurance documents, etc.). It may no longer be practical to deliver as much physical mail. 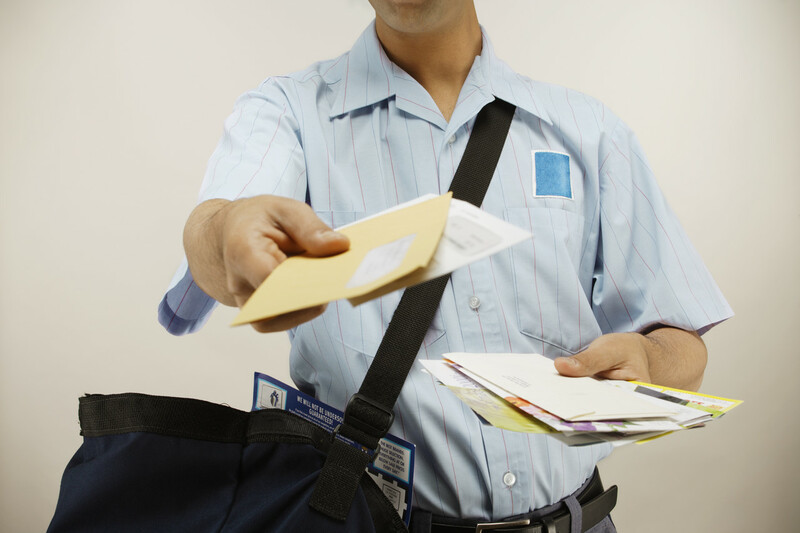 Which regulations, if any, apply to your outbound mail? How do they differ for electronic mail? Do you also have contractual obligations? Receiving Mail From Big Cities: Even if most of your clients live in large cities, will an extra day or two every month significantly impact your cash flow? What if you are a real estate, insurance or other type of firm that receives much of its monthly income via the mail? Receiving Mail From Towns: If you receive much of your revenue by mail, AND your clients are primarily located in small towns that might delay your payments by a few more days (especially if payments are dated based on the postage date). Does this impact your revenues? Should your monthly calendar be adjusted so that bills are sent out a few days earlier? What business processes would need to shift to meet the new timetable? If this is an issue in 2012, it will be a bigger issue by 2015. By then, services will be cut back even further… perhaps not just eliminating post offices, but cutting back on mailboxes and even reducing delivery or pickup to all homes in very small towns. On-line Delivery: Your firm probably has some form of electronic communication with clients in addition to email. A website where they can order products, make payments, file claims and perform other tasks that might be sent via the mail. Given ongoing shift in mail, you should see a LOT of projects to adjust and expand existing software. If not, identify the owner of the current software and ask about their plans. How aware are the application owners of upcoming changes to the Post Office? Talk to them! Changing Regulations: As the Post Office shrinks, email and other electronic communications are becoming the new standard. Over the next few years we can expect more of the regulations controlling mail and mail-based receipts be re-written, providing more direct instructions for how electronic delivery will work. Identify departments in your firm send or receive regulated mail. Ask if there are significant differences in the regulations if the mail is physical or electronic? Discuss the potential changes that the department manager believes could happen if the volume of work shifted to electronic under current regulations, and what potential new regulations could occur. Also check with your legal and compliance departments to see if they are aware of new regulations on the horizon. The coming changes in the US Post Office are going to be huge! We don’t know how extensive the changes will be, but we do know that they will be far more than what is on the table for 2012. If your PMO’s project portfolio doesn’t have any project for paper mail, or for building or expanding on-line from processing and billing, then the message of change may have not penetrated your firm. Start asking your PMO’s clients if they understand these changes and are planning new projects. The responsibility for mail services is probably highly dispersed… see if you can help coordinate individual projects into an enterprise plan. Remember, if mail isn’t a top priority, now is the time to make sure that a high-priority project doesn’t sneak up on you! And that’s my Niccolls’ worth for today! This entry was posted in Best Practices, Common Sense Contracting, Decision Making, Delivering Services, Improvement, Continuous or Not, Project Management Office, Unique Ideas and tagged change, Improve, PMO, Project Management, transform. Bookmark the permalink.